Let’s start with PTSD is a complicated condition, we are taking a somewhat simplistic view of recent studies to help those that suffer from this condition. 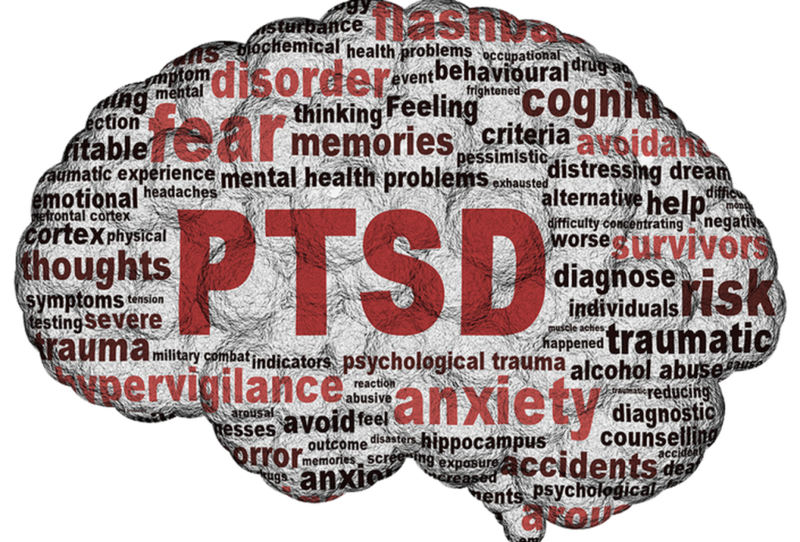 Post-Traumatic Stress Disorder is a Psychiatric disorder in which a person has difficulty recovering after experiencing or witnessing a terrifying event that is in the most basic of terms for a complicated disorder. During WWI it was called “Shell Shock” and after WWII it was called “Combat Fatigue” Anyone can experience PTSD, but we hear more reports, through the general media, of PTSD being experienced by military personnel and first responders. Research suggests sleep plays a role in the consolidation of recently acquired for long-term storage. Rapid eye movement (REM) sleep has been shown to play a complex role in emotional- memory processing and may be involved in subsequent waking-day emotional reactivity and amygdala responsivity. Amygdala are the neurons located deep in the brain’s medial temporal lobe that contributes to the processing of emotions. Following a traumatic event, the full spectrum of PTSD symptoms typically require months to develop. During this time sleep disturbances occur such as insomnia, nightmares and fragmented REM sleep. During REM sleep the body naturally processes trauma. The theory is that sleep disturbances resulting from an acute trauma may contribute to PTSD. Clinicians are experimenting with a new treatment (ART) Accelerated Resolution Therapy, it mimics what your eyes do during REM sleep. During a session, the patient is asked to visualize the traumatic event. While doing that the therapist moves their hand rapidly in front of the patient’s face while they follow the hand with their eyes. It is believed that ART mimics REM sleep. The purpose of this technique is to help separate and process negative feelings and recognize there is no longer need to hold onto these feelings.